Nestled amongst rubber plantations and coastal mangrove forests in the north of the island, just 10 minutes from Phuket International Airport. Measuring a challenging 6,806 yards from the back tees or a more accommodating 6,308 from the front, this 18 hole, par 72 course is a popular choice with the occasional player and high handicappers alike. 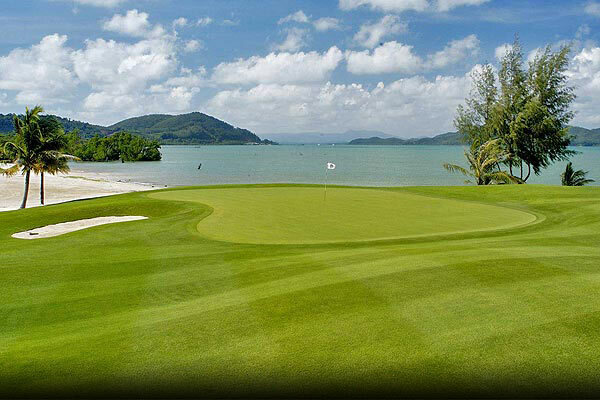 Mission Hills is the only course in Phuket on the sea front and such, it's layout offers stunning vistas of the Andaman Sea from several holes. 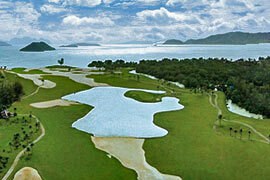 The course creates a sense of fun and excitement while testing the accuracy of each player with several peculiar features along the layout; hole 18 sets up several options of play from the tee with 2 greens, allowing you to choose an alternative end to your game, while the greens for holes 2 and 5 sit alongside each other on the same island in one of the many water features. The convenient location, luxurious facilities and championship golf, all combine to make Mission Hills a sought-after, world-class golf destination. 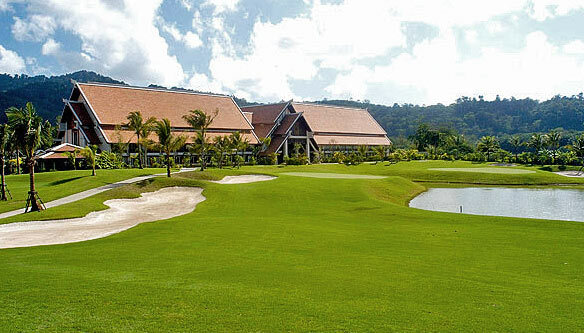 Use of golf cart on Mission Hills Phuket Golf Resort is compulsory. Maximum 1 golfer per cart is permitted. 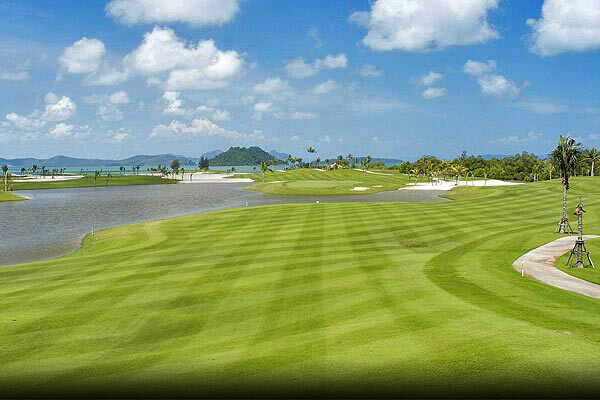 The golf cart rental is 400 Baht/cart/person (for 9 Holes), or 700 Baht/cart/person (for 18 Holes). Rates above are NOT inclusive of caddy tip. 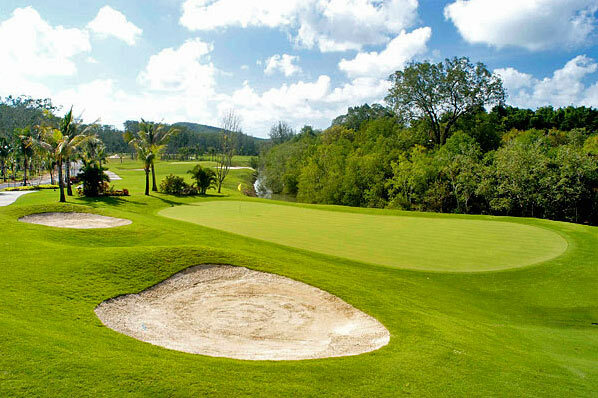 Mission Hills Phuket Golf Resort has recommended to tip their caddy from 200 Baht (for 9 Holes), or 400 Baht (for 18 Holes). You can give it directly to your caddy after the game. 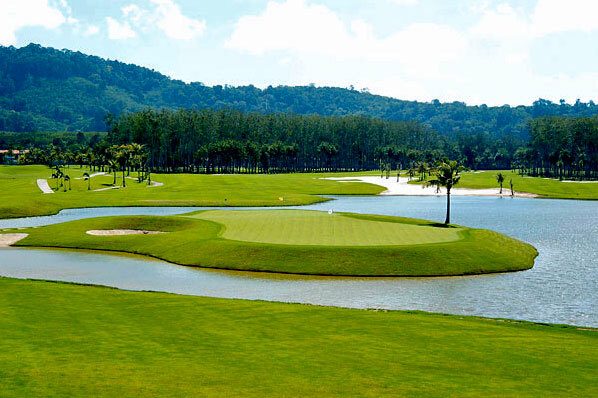 Follower fee of 600 Baht/person (for 9 Holes) or 1,200 Baht/person (for 18 Holes) must be paid to the proshop, if you have non-golfers accompany into the course please inform us in the booking form. Daily shuttle bus service to Nai Yang Beach follow hotel's schedule. 15% discount on laundry bill.